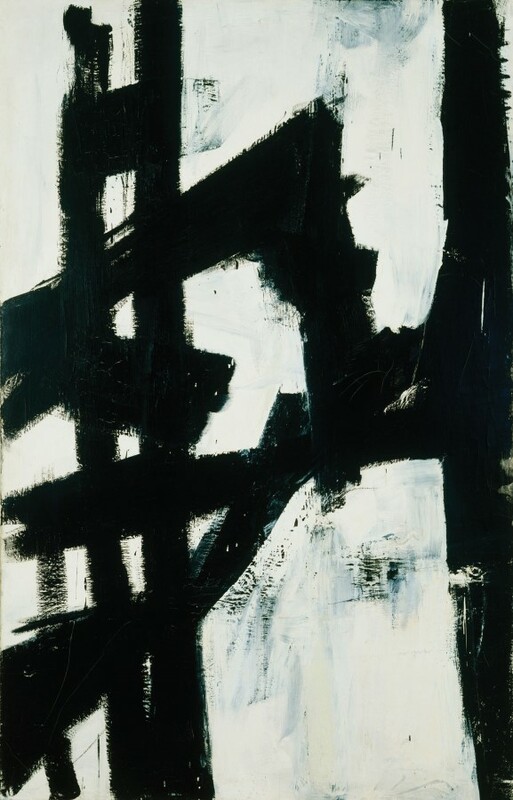 FRANZ KLINE: It wasn’t a question of deciding to do black-and-white painting. I think there was a time when the original forms that finally came out in black and white were in colour and then as time went on I painted them out and make them black and white. And then, when they got that way, I just liked them, you know. I mean there was that marvellous twenty-minute experience of thinking, well, all my life has been wasted but this is marvellous – that sort of thing. DAVID SYLVESTER: During the time that you were producing only black-and-white paintings, where you ever colour and then painting over it with black? FK: No, they started off that way. I didn’t have particularly a strong desire to use colour, say, in the lights or darks of a black-and-white painting, althought what happened is that accidentally they look that way. Sometimes a black, because of the quantity of it or the mass or the volume, looks at though it may be a blue-black, as if there were blue mixed in with the black, or as though it were a brown-black or a red-black. No, I didn’t have any idea of mixing up different kids of blacks. As a matter of fact, I just used any black that I could get ahold of. DS: And the whites the same say? FK: The whites the same way. The whites, of course, turned yellow, and many people call your attention to that, you know; they want white to stay white for ever. It doesn’t bother me whether it does or not. It’s still white compared to the black. DS: It’s still white compared to the black. FK: But I’ve noticed something with other artists who do use the whole range of forms of colours and black – in Albers, for instance, who experiments with yellow, red, blue, the whole scale. 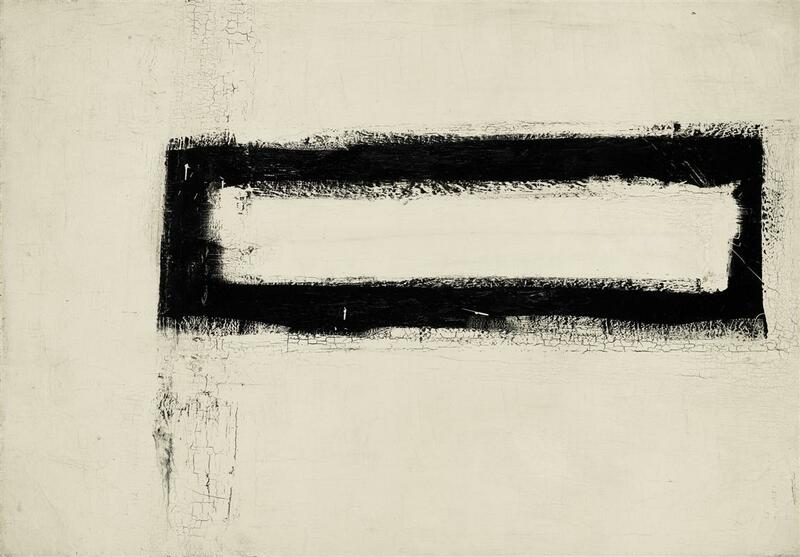 Of course I love his colour paintings, but when I see a black-and-white such as The Homage to a Black and White Square, I like that best, you know. I think it has something to do with deciding just exactly what you really like best. You can say, well, of course, I love this and that and so on. There’s always that wonderful element of doubt. I like the black painters really, even if they did work in colour. DS: Who are the black painters? DS: Is Goya a black painter? 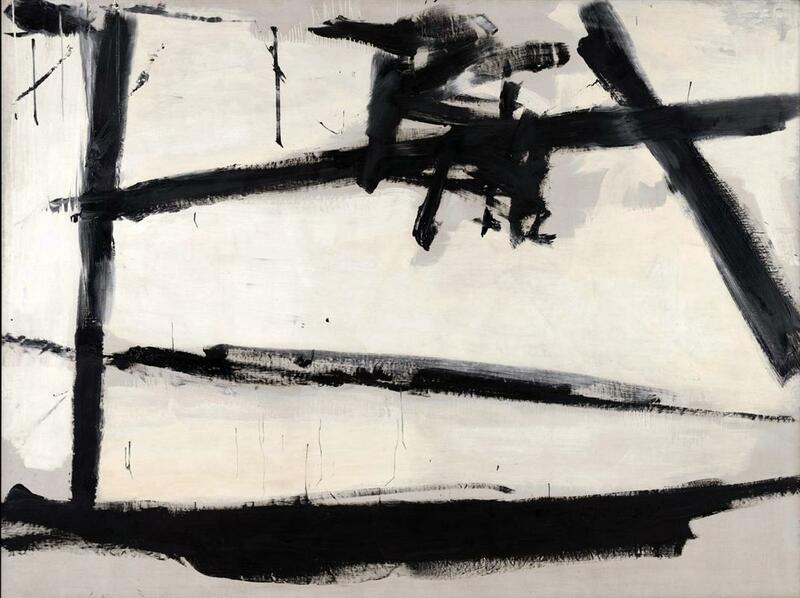 DS: Is it the case that you have been very much consciously concerned with equalizing the black and white on the canvas to make them part of the surface? FK: That’s right. In other words, calligraphy is simply the art of writing. DS: A black form on a white ground? FK: Yes. You don’t make the letter ‘C’ and then fill the white in the circle. When people describe forms of painting in the calligraphic sense they really mean the linear, inscribing a drawing and so on. No, I didn’t have this feeling that painting was the equalization of the proportions of black or the design of black against a form of white; but, in a lot of cases, apparently it does look that way. 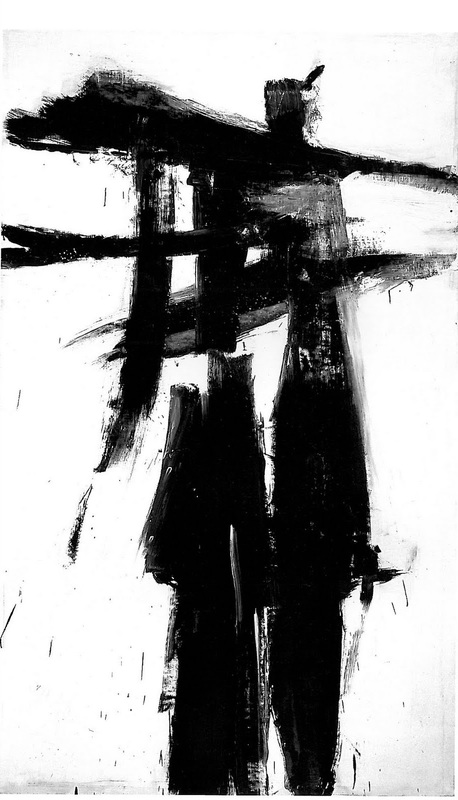 I rather imagine as people have come from the tradition of looking at drawing, they look at the lines, until you got to art school and then the drawing teacher tells you to look at the white spaces in it; but I didn’t think about the black-and-white paintings as coming that way. I thought about it in a certain sense of the awkwardness of ‘not-balance’, the tentative reality of lack of balance in it. The unknown reason why a form would be there and look just like that and not meaning anything particularly, would, in some haphazard way, be related to something else that you didn’t plan either. You see? DS: And you never, at any time, really attempted to sort of clinch the black and white. FK: No, I don’t like to manipulate the paint in any way in which it doesn’t normally happen. In other words, I wouldn’t paint an area to make texture, you see? And I wouldn’t decide to scumble an area to make it more interesting to meet another area which isn’t interesting enough. 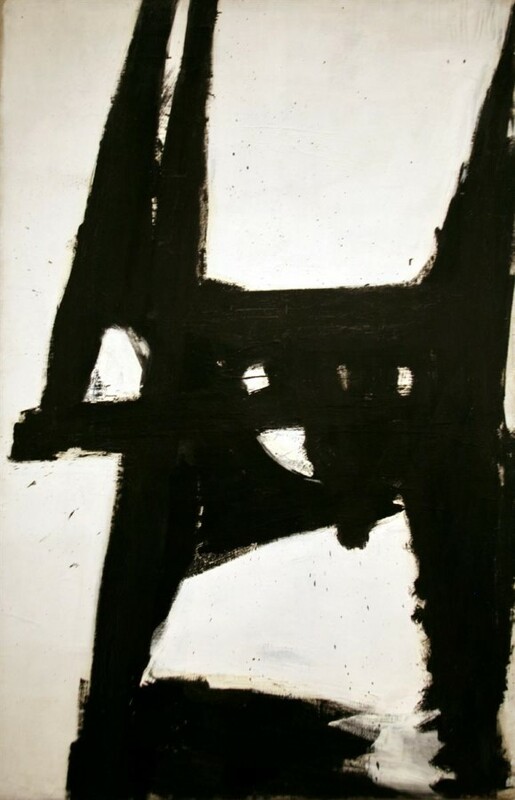 I love the idea of the thing happening that way and through the painting of it, the form of the black or the white come about in exactly that way, plastically. 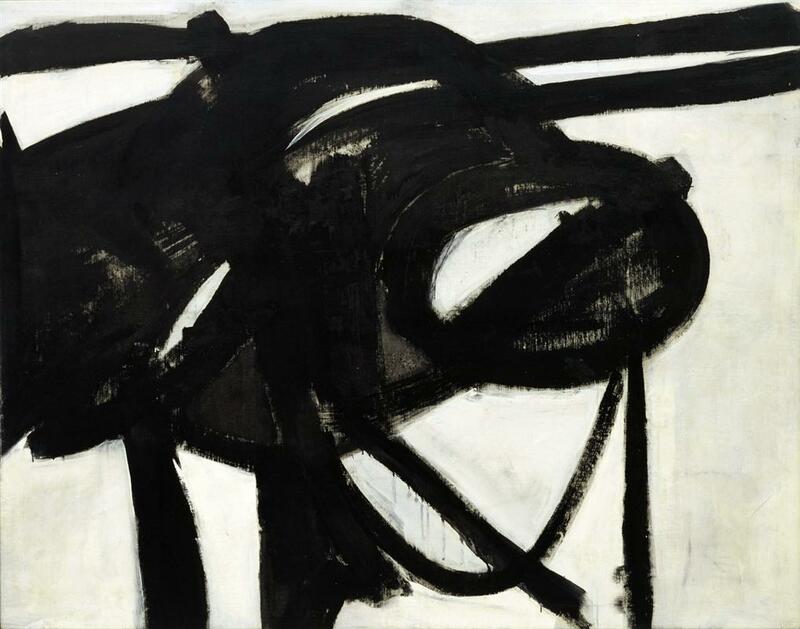 Posted in Interviews, Masters, Painting and tagged Archive Highlights, David Sylvester, Franz Kline, Goya, Painting, Top Picks, Velasquez.